Good things happen when everyone is on the same page with their objectives linked to top-level goals. 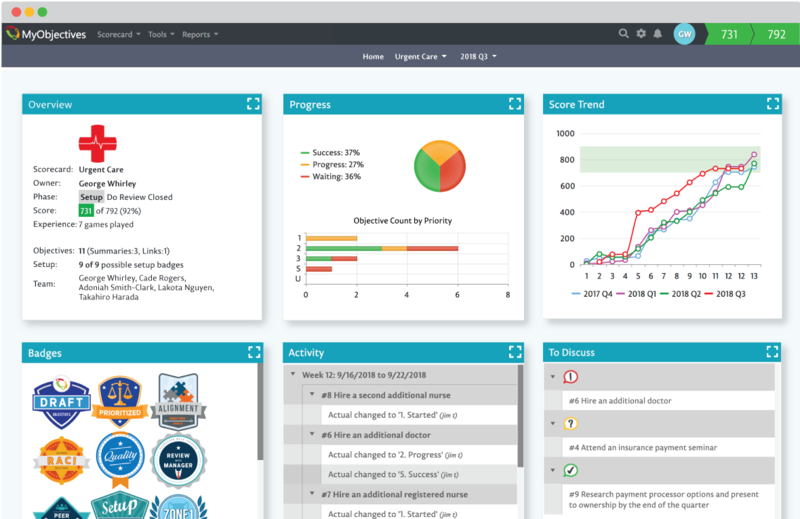 Leaders get a dashboard that overviews the health of the organization, or they can dive deep into department details. S.M.A.R.T. objectives clearly spell out who’s doing what by when, and how the work will be measured. 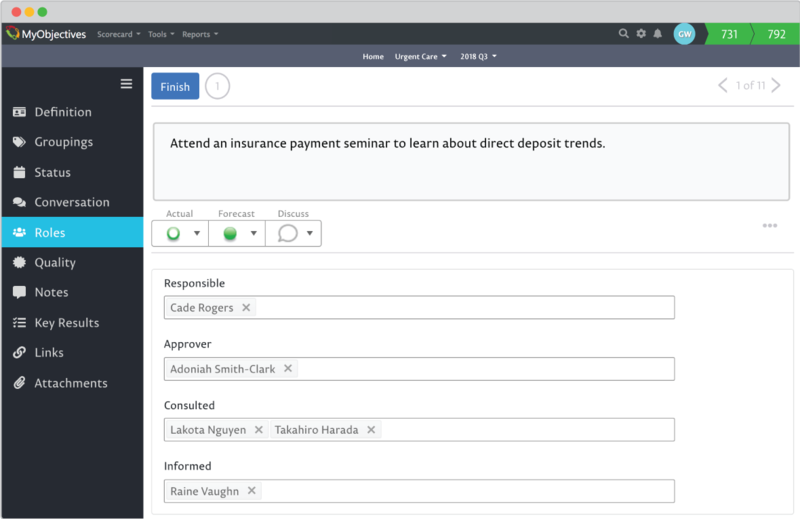 Conversations and visual rewards like instant scoring, badges and charts keep the work fun and on track for everyone. 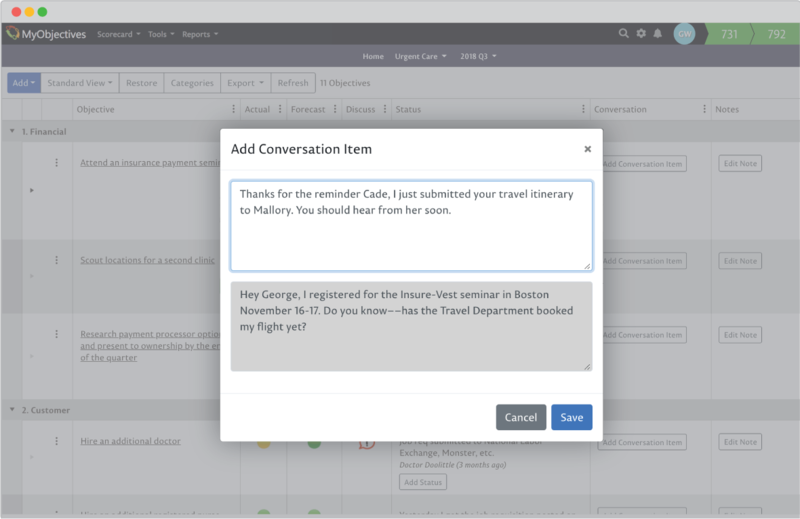 Features like “alerts” and “updates” draw attention to risks or to kudos that are due to team members. 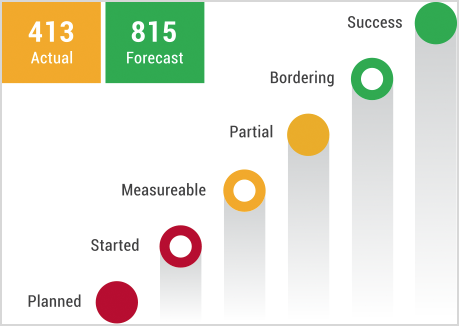 Measuring and scoring progress on objectives keeps everyone focused on the right things. 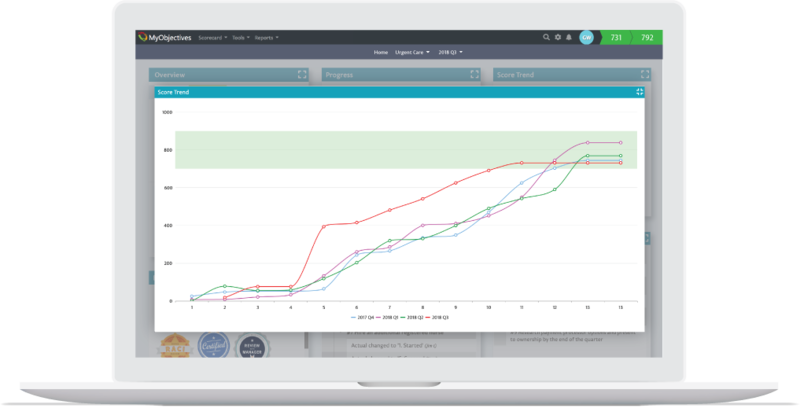 Real-time scores communicate progress within the team, to stakeholders and to leadership. The app displays each team’s expected score for the game period (usually a quarterly cycle). 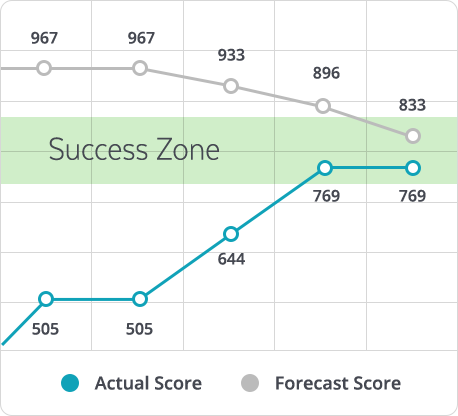 Forecast changes are instantly communicated to leadership, eliminating late-game surprises. Work SMART. Unleash Business Growth. Studies, consultants, businesses. They all validate the approach and effect of MyObjectives. Dig into it right here. 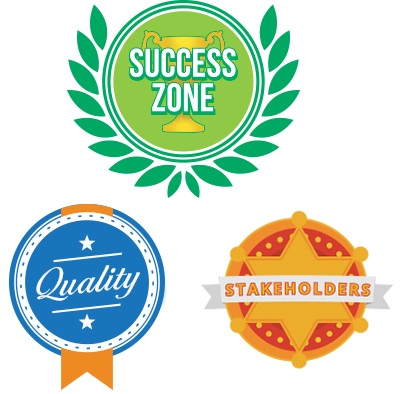 Are Managers Ready to Embrace Gamification? MyObjectives is right for you. Let us explain why.